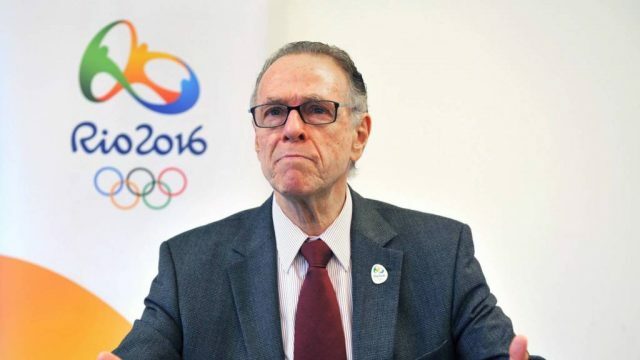 Rio 2016 President Carlos Nuzman has been officially charged by the Federal Public Prosecutor’s Office (MPF) with corruption, tax evasion, money laundering and running a criminal organization. The 75-year-old lawyer was arrested in Rio de Janeiro on October 5 as part of “Operation Unfair Play” and has been in custody since. Leonardo Gryner, general director of Rio 2016, who was arrested at the same time as Nuzman, has also been charged by the MPF with corruption. He was released from prison last Saturday (October 14). Prosecutors claim the two “promoted, formed, financed, and integrated a criminal organisation aimed at committing the crimes of corruption and embezzlement in detriment of the State of Rio de Janeiro, Brazil’s Olympic Committee and the Organising Committee of the Rio 2016 Olympics”. Brazilian and French authorities allege that Nuzman helped pay $2 million (£1.5 million/€1.7 million) to Papa Massata Diack to win votes to stage the 2016 Olympics. Diack is a son of Lamine Diack, a prominent Senegalese member of the International Olympic Committee (IOC) at the time of the 2009 vote to pick the host city, and seen as influential among African delegates. The Diacks have also been charged by the Brazilians, along with Sergio Cabral, the former Governor of Rio State, and a businessman, Arthur Cesar de Menezes Soares Filho. Nuzman is suspected by Brazilian prosecutors of being the main link between de Menezes, nicknamed “King Arthur”, and Lamine Diack. The case is outlined in a 157-page document. Lamine Diack is currently being held under house arrest in Paris following his arrest by French authorities nearly two years ago over allegations he took payments for deferring sanctions against Russian athletes who had tested positive for banned performance-enhancing drugs when President of the International Association of Athletics Federations. Nuzman, who resigned last week as President of Rio 2016 and also stood down as head of the Brazilian Olympic Committee, denies any wrongdoing. “No-one will prove the receipt of a penny from a real account of any work that has been done to account for the Olympic event, which was an international success,” Nuzman’s lawyer Nélio Machado told Brazilian newspaper O Globo. “And pre-trial detention is outrageous. “They set guilt outside the parameters of due process. Last month Cabral was sentenced to 45 years and two months in prison for passive corruption, money laundering and leading a criminal organization. In June he had been sentenced for 14 years and two months on a number of other corruption charges. Cabral is again accused of passive corruption as he knew bribes were being paid from the account of De Menezes to the Diacks. De Menezes and Papa Diack are considered fugitives by Brazilian authorities. The 57-year-old de Menezes is believed to be in the United States and Brazilian authorities have requested his extradition. He earned his nickname “King Arthur” because of the millions of dollars he allegedly earned when Cabral was Governor of Rio State. Papa Diack, currently in his home country of Senegal, also denies he has done anything illegal. Senegalese authorities have refused to extradite him to France. Nuzman has been accused of having undeclared assets, including 16 gold bars of one kilogram each, in Switzerland. “While Olympic medalists chased their dreams of gold medals, leaders of the Brazilian Olympic Committee stashed their gold in Switzerland,” Federal prosecutor Fabiana Schenider said. “On the other side, there are elements that suggest there was embezzlement of taxpayer money that was destined to the referred Olympic entities,” prosecutors added. In addition to trying to bribe IOC members to win the Olympic Games for Rio de Janeiro, Nuzman and Gryner are also accused of having “violated functional duty” by giving a 30 per cent discount to LSH Barra Empreendimentos, a real estate firm linked to De Menezes involved in building a hotel in Barra da Tijuca, the main cluster of venues for Rio 2016. Nuzman was suspended as an honorary member by the IOC following his arrest and “withdrawn” from the Tokyo 2020 Coordination Commission, a position he was appointed to by IOC President Thomas Bach. The IOC has provisionally suspended the COB from membership, though Brazilian athletes will still be able to compete under their own flag at next year’s Winter Olympic Games in Pyeongchang. “The IOC reiterates its full commitment to the protection of the integrity of sport,” an IOC spokesman told insidethegames. “The IOC will continue to address any issue affecting this integrity under the rules and regulations of its recently reformed governance system. “In order to follow up this case properly, the Executive Board asks all judicial authorities to provide the IOC Ethics Commission with all the available information at their earliest convenience. “The IOC will continue to fully cooperate with all these judicial authorities. To see the full prosecution case, in Portuguese, click here.